Virginia state lawmakers and the Arlington County Board will vote in early 2019 on a generous package of tax breaks, infrastructure spending and cash grants offered to Amazon to snag half of its new HQ2. These public discussions can't come soon enough for the skeptics and the merely curious. ARLINGTON, Va. — Residents of Virginia’s Crystal City, Pentagon City and Potomac Yard will see the first public deliberations over incentives for Amazon in early 2019, as state lawmakers in Richmond and the Arlington County Board vote on a generous package of tax breaks, infrastructure spending and cash grants. Sometime later, the online retail giant will submit plans for a headquarters building in the neighborhoods near Reagan National Airport in Arlington, Virginia, triggering several rounds of land-use change requests and opening the door for Arlington County officials to demand community benefits. The scrutiny can’t come soon enough for the skeptics and the merely curious who have flocked to public meetings since the announcement last month that Amazon would locate half of its H2Q just across the Potomac River from Washington, D.C. — the biggest economic development project to hit Northern Virginia in many years. Nearly 200 people turned up this month at a county-sponsored “listening session” about Amazon’s arrival. The first Facebook video session Arlington County webcast to explain the deal drew 4,700 viewers. At each event, residents asked questions about how the eventual arrival of 25,000 workers to their area will affect traffic, transit, rents and schools, and sought details on the expected timing of all the changes the county predicts. Although nearly three-quarters of Northern Virginians approved of the Amazon project in a recent poll, the public-information sessions have revealed plenty of suspicion. Some residents say they want Arlington County and Alexandria to require Amazon to use union labor for construction — even though such a mandate would be highly unusual in Virginia, a right-to-work state. Others called for a community-benefits agreement — which could seek parks, affordable housing or other amenities to be paid for by Amazon — before the company is allowed to build its headquarters. Still others railed against the secrecy that defined Amazon’s search for a new home and questioned whether the company could be trusted to be “a good corporate citizen,” citing its cooperation with U.S. Immigration and Customs Enforcement and third-party sales of white-supremacist merchandise on its website. “You work for us, not Amazon,” Cendejas told the board. The bid to lure Amazon was indeed secret, at the company’s insistence, local officials said. After the Nov. 13 announcement that Arlington would share the 50,000 HQ2 jobs with Long Island City, New York, state and county officials revealed what they offered to attract Amazon. 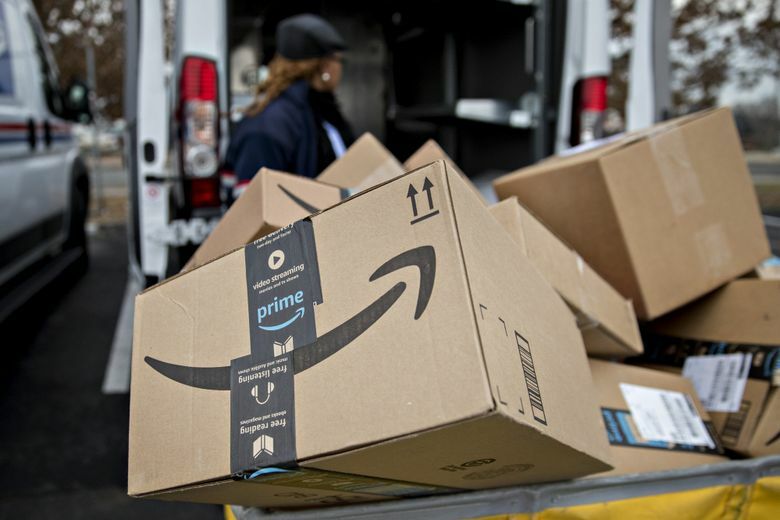 The basics: Virginia and Arlington agreed to give Amazon direct subsidies totaling $573 million, based on the company creating 25,000 jobs with an average salary of $150,000 over the next 12 years. If the number of jobs rises to 37,500, more incentives will kick in. The state and county also will invest a total of $223 million for transportation improvements that will benefit Amazon as well as the rest of the community. Separately but relevant, the commonwealth plans to spend up to $1.1 billion over the next 20 years to expand technology education at Virginia community colleges and universities, including a new Virginia Tech graduate campus in Alexandria. Arlington will pay for its share of the incentives — up to $23 million over 15 years — as long as Amazon fills 6 million square feet of office space in that time. The money will come from 15 percent of any new revenue generated by the hotel-occupancy tax. If the additional hotel stays don’t materialize, Amazon does not get the money, said Christian Dorsey, the incoming Arlington board chair. The county also plans to use an expected increase in tax increment fees (TIF) to make infrastructure improvements in the immediate region. The estimated new TIF revenue is projected to be $28 million over a decade. In addition to questions about why taxpayers should support one of the wealthiest companies in the nation, people have asked about planned improvements to streets and pedestrian crossings, the impact of Amazon’s arrival on affordable housing and school overcrowding, and, in one case, who exactly decided to rename long-standing neighborhoods with the anodyne new moniker “National Landing”? For the environmentalists out there, someone asked: Will the new Amazon buildings run on 100 percent solar energy? Answers to those questions were in short supply. Ben Davanzo, a condo owner in Arlington Ridge who attended one of the public discussions, said in an interview later that he is worried whether the county “has the will and tools to push back” and make sure it benefits from Amazon’s arrival. “To me, it seems they are not equal in negotiating power,” he said. In mid-December, Ingris Moran, the daughter of Salvadoran immigrants and a member of Tenant and Workers United in Alexandria, called on the Alexandria City Council to create an anti-displacement fund for existing residents. Two days later, Tina Gee, who works in Crystal City and generally supports Amazon’s arrival, raised the issue of whether the planned influx of workers might warrant some sort of new medical facility. Amazon plans to hire about 400 people in 2019 and put them to work in several existing but currently empty buildings owned by JBG Smith. Amazon has also purchased two lots in Pentagon City and plans to build its own headquarters on one of them. The new facility initially will occupy 4 million square feet of energy-efficient offices and could expand to 8 million square feet over the next 12 years. Existing residents are wary, to say the least. Joann Gottlieb, who has owned her condo in the area for 18 years, is watching in astonishment as units that sold two months ago for $500,000 to $600,000 are advertised at $750,000 to $850,000. Some of those prices, first posted right after the Amazon announcement, have recently dropped, she said, but sellers are still getting a premium of $100,000 or more from just months ago. “It concerns me because I have no intention of selling … my eyes are not the best, so I may have to stop driving soon,” she said, pointing out the many public-transit options that she could reach from her front door.